TOPAZ HORIZON: Topaz Beauty: The miracle cure for dry, cracked, ugly feet! Topaz Beauty: The miracle cure for dry, cracked, ugly feet! The reason I'm not a beauty blogger is because I'm too vain to show before-and-after photos. I mean, really. I can't. I want you to think I'm gorgeous all the time! Of course, the truth is I have lots of beauty concerns, one of which has plagued me for a decade: dry feet. It's so bad that my friend Ro gave me a huge bottle of intensive care lotion one birthday because she got bothered by my cracked heels and toes. Nope, lotion never helped. Foot spas never helped. Nothing ever helped. Until I found Foot Appeal. 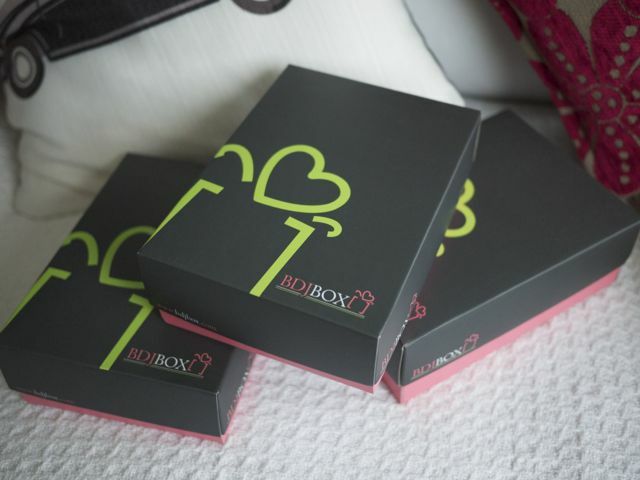 I got Foot Appeal from one of my monthly boxes of BDJBox. It's a sample service and I've discovered lots of beauty goodies from them. Some boxes are okay, some boxes are amazing. Then there are some boxes that you think have so-so products only to find out later that it has real treasures in it. Like Foot Appeal! I seriously just tossed aside the packet. "Oh, another foot mask. Ho-hum." Then one day, as I was organizing my beauty products, I looked at it and tried it out and I was the one blown out of the water! Best discovery of the year! Sleeper hit! Foot Appeal forever! My review is after the jump but please do NOT click if you are eating, have foot phobia, or are just generally squeamish. Like I said, I don't like putting before-and-after pics but this you gotta see. Well, only if you have the stomach for it. You have been warned! This is my heel. Cracked. Dry. Peeling. On some days, even bleeding. My toes are the same with the fun bonus of calluses! If people judged one's beauty based on their feet, I'd have no fighting chance. So it's a good thing people judge based on one's face!!! Anyway, my feet got worse when I became pregnant. The therapist at the foot spa said it's all the added weight plus the fact that pregnancy can be very dehydrating. Like I said, the foot spas didn't help. Not even the most miraculous lotions (I used La Mer!). So when Foot Appeal promised that with "just one use to reveal baby-like, soft naturally pinkish foot," I laughed. But I tried it anyway. 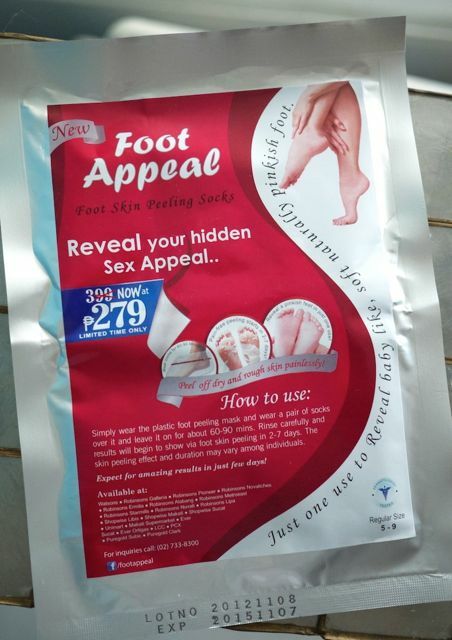 A packet of Foot Appeal has just one pair of plastic socks. Inside swirled the potion of acids: salicylic acid, lactic acid, paeonia suufriticosa root extract, tilia cordata flower extract, arnica montana flower extract, althea focinale root extract, aloe barbadensis leaf juice, hedera helix extract, cucumis sativus fruit extract, nasturtium officinale extract, citrus medica limonium extract, arctium majus root extract all mixed with purified water and alcohol. It stinks! Well, it smells like perfumed acetone but it still smells scary. That's why I read the ingredients list. I wanted to be sure this thing won't melt my feet away—skin, muscle and all the way to the bone! Since all the listed ingredients looked natural, I proceeded. 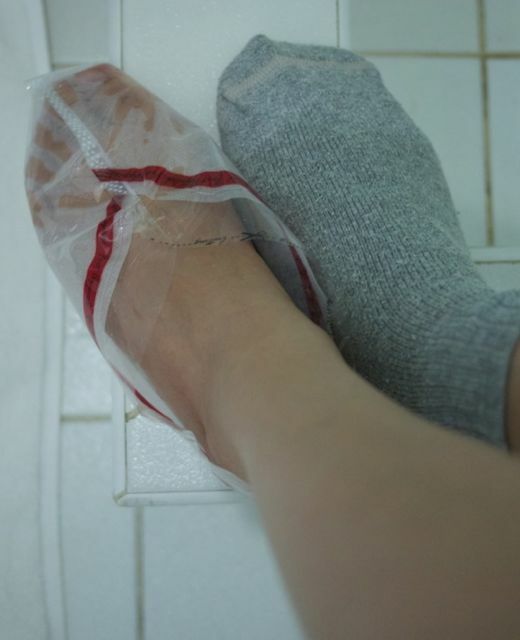 All you have to do is slip your feet into the plastic socks, tape the edges closed, wear real socks on top so that you don't slip and fall, soak your feet for 60-90 minutes, take everything off then wash your feet thoroughly. That's it. First day, Thursday: Day of soaking. I already felt my skin was smoother. Second day, Friday: My feet looked bad. Like it was covered in paraffin. Like it was covered in plastic. Third day, Saturday: My feet felt weird. It still looked like it was covered in plastic because the skin was hardening, separating. But this day was gross because I felt it, too. Like I was walking around in dry wax. Fourth day, Sunday: My skin started bubbling. This was so exciting! My skin had begun to peel! From Monday to Thursday, my heels, soles and toes peeled off so much skin, I was throwing away handfuls of it. Handfuls. It was so gross and satisfying. My sons both volunteered to peel the skin away, too. Vito always went: "Ewww. Yuck! Me, me! Mama, me do it!" It was so addicting to peel! It's been two weeks since I tried Foot Appeal and my feet are almost done peeling. I don't have calluses anymore! My feet are also soft, smooth and, yep, pinkish. Even my toenails look nice and shiny! And my cuticles are pretty! My sister said my feet almost look like baby feet. Best of all, my heels are no longer cracked! My husband is so impressed (wink wink!). The only thing Vince doesn't like is when the feet were peeling because they looked really icky and I was leaving a trail of dried-up skin everywhere I walked! Vince said, "I vacuumed and your skin was everywhere!" I'm definitely buying Foot Appeal again! It's available for P400 at Watsons, Robinsons Dept Stores, Shopwise, Unimart, Makati Supermarket, Ever, LCC, PCX and Puregold. I especially like Biopha. 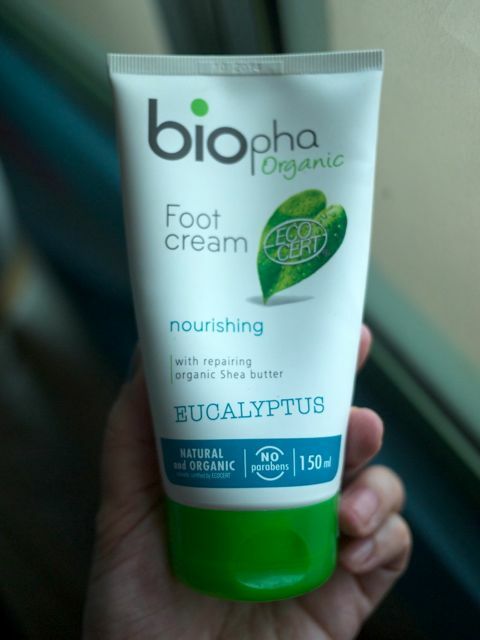 It's my husband's foot cream actually. Vince uses it after his run so even though he runs a lot, his feet are so soft and perfect! So... I stole it from his bathroom and now it's mine! I love it! It's available from Souq Organics in White Plains, Lucky Chinatown Mall and their website. Wow! I have to try this! Masakit po ba nung nag peel? Nasaktan yung paa ko nung nakita ko yung photo na pini-peel mo yung skin mo. haha! But wag pilitin ang peel off. Wait first for it to separate talaga before peeling. Or else magsusugat. Get na!!! 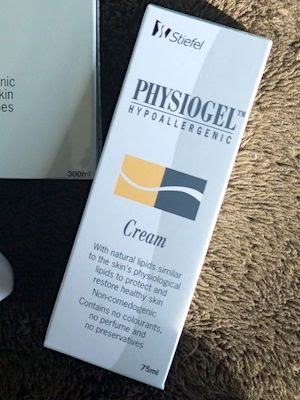 I discovered this product over a year ago and have been a big fan since then. At first i was skeptical and didn't really believe the pictures on the box but at the same time i was intrigued so I decided to give it a try. -your soles will peel first, particularly the ball of foot or the arch. These are the thickest skins that will peel off from your feet and also the most "gigil" and satisfying to pull off yourself! -the dorsal part (top)of your foot will appear very very dry before it starts to peel off. This thin skin is harder to peel off than the ones on the sole. If you plan to wear sandals or open toe shoes on the week after you use foot appeal, just DON'T. Your feet will appear very dry, old almost like you have an exfoliative disease! -Use a soft, wet wash cloth to gently assist peeling your skin off when you are in the shower. -Avoid applying lotions while you are in the process of peeling so as to maximize and hasten the process. -When in the process of your soles peeling, it's best (and also more comfortable since the new soft skin might be sensitive) to wear shoes or slippers with soft insides. In my opinion, it's best to wear terry lined or cloth slippers at home or wear socks when going put. -It takes approx. 2 weeks til you are COMPLETELY peeled off and rewarded with smooth, soft feet and baby pink soles. 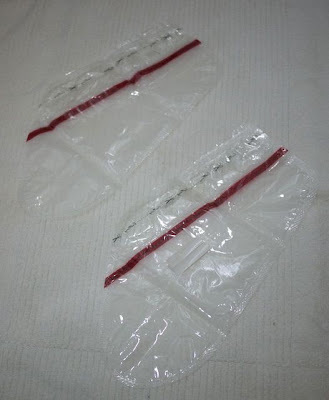 (the thick skin on the soles are easier and faster to come off compared to the thinner, almost flakey skin on top) So if you have an event that entails exposing your feet in strappy sandals or open toe shoes, plan on using the peel accordingly. Enjoy! Hope you found the suggestions helpful! Yes, if all your shoes are sandals, bumili ka muna ng closed shoes, rubber shoes or boots and wear those while in the peeling process kasi kadiri talaga your feet. Parang naagnas! I must try this when I go back to Manila! My feet are really gross, too! wow. amazing discovery. how long kaya the effect will last? i'd like to try it. Wow! I'll buy this tom. I don't have cracked heel pero dry iyong skin ko sa feet. Nagppeel siya voluntarily. Hehehe! Once nyo lang po ba ginamit? wow, thanks for the tip, great timing that i'll be going go Manila this weekend. I'm gonna get a couple and bring it back to SG for me and my husband. gusto ko rin siyang i-try. i'm starting to have cracked heels lately and nakaka-conscious if you're wearing flops. ma-check nga sa watsons pag may time. thanks for the tip, frances! Did I give you the lotion for your feet?? Parang I don't remember noticing that your heels were dry or cracked. I do remember you commenting that my elbows were soft and I said it was because of the St. Ives lotion. Yes, it says that on the package also, that results vary. Mine was 4th day. My friend was the 2nd day! Update Ms. Frances...I soaked my feet last Saturday...and yesterday (Thursday) it started to peel bigtime...i commute to work and my feet looked gross...looking forward to amazing results.Thanks!